Bay Street Theatre kicks off the month of October with the legendary Betty Buckley returning in a new and critically acclaimed show “The Vixens of Broadway” on Saturday, October 12 at 8pm. Sag Harbor, NY – August 23rd, 2013 – Bay Street Theatre kicks off the month of October with the legendary Betty Buckley returning in a new and critically acclaimed show “The Vixens of Broadway” on Saturday, October 12 at 8pm. 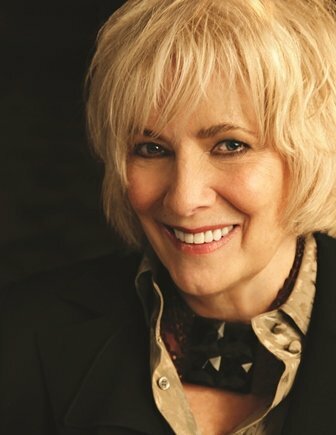 Described as “The Voice of Broadway,” by New York Magazine, Tony® Award-winner Betty Buckley has become the quintessential leading lady of the American musical theatre through her dazzling performances in Cats, Sunset Boulevard, 1776 and Pippin. Ms. Buckley won a Tony® Award for her performance in Cats, received a Tony® Award nomination for Triumph of Love, and an Olivier Award nomination in London for her performance in Sunset Boulevard, which she reprised on Broadway to rave reviews. “The Vixens of Broadway” is a fun and light-hearted evening and will include some of the best and memorable songs of both classic and contemporary Broadway shows. Tickets for this show are $50 to $75 and VIP tickets are priced at $100 and include an after party with Betty Buckley. Tickets are available at the Bay Street Box Office at 631-725-9500 or online www.baystreet.org. Box office hours are Monday through Saturday; 11a.m. to show time and Sundays 3 p.m. to show time. Bay Street Theatre is a not-for-profit institution, dedicated to presenting new, classic and contemporary works of the highest quality, which challenge as well as entertain, speak to the diversity of the community and champion the human spirit. Bay Street’s commitment extends to educational programs for all ages to foster the continued value of theatre as a vital art form for future generations. Subject: LongIsland.com - Your Name sent you Article details of "Betty Buckley Returns To Bay Street Theatre Columbus Day Weekend"